A man who was born with a sunken chest said he was 'worried for my life' after he regularly drained his infected implant himself with a syringe that he bought online. Brandon, whose surname is unknown, had pectus excavatum - a deformed rib cage that makes the chest sink in or cave - but it went undiagnosed until he was 19. 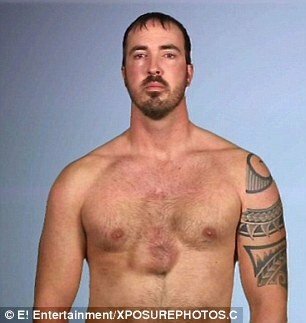 He had an implant fitted but 16 years on, the father from Iowa admitted to doctors on Wednesday's episode of E! show Botched By Nature that fluid had started developing around the implant.